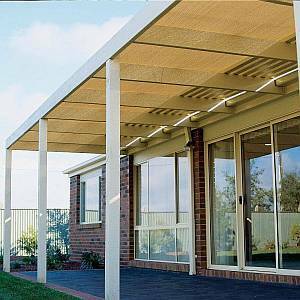 Knitted Mesh Coolaroo or Commercial 95 Shade Cloth protects you from the Sun. 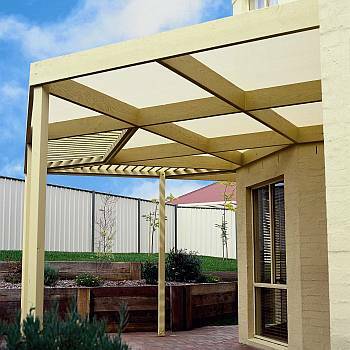 Coolaroo is a UV stabilized High-density polyethylene (HDPE) knitted mesh material (280gsm) that blocks the sun's dangerous UV rays while it still "breath" to circulate the air which keeps the environment underneath much cooler. Coolaroo fabric is heat processed that makes the material color fast, it won't rot, mildew, or mold and wil maintain flexibility and strength even when exposed to the sun for long periods of time. It is available in pre-packaged rolls or we can custom cut a length of it by the linear yard. This is similar to Coolaroo but the threading is thicker and it weighs in at 320-340 grams / square meter and blocks up 98% of the ultra violet rays. Specifically designed to withstand more wind and weather the elements better. 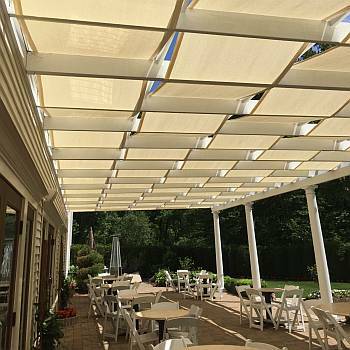 Commercial 95 shade fabric is available in whole rolls, cut linear yards off the roll, or we can custom make a finished tarp in most any size you need, with edges that are hemmed, with or without grommets, with reinforced edges. 100% solution dyed acrylic. Solution dyed basically means that the fibers that the fabric is made from, are dyed in a color solution before they are woven and not printed on after the fabric base cloth is made. This is the thicker Awning / Marine Grade fabric found on boats and nearly every major hotel awning. It is long lasting, fade resistant and near waterproof. Only available as a custom shade panel thru us. 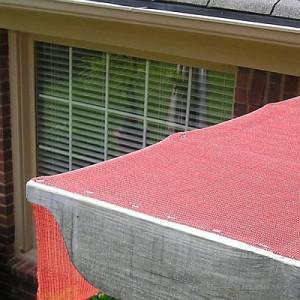 These fabrics can be easily attached to any wooden structure with screws/washers, 1" staples, etc. Due to their use of lock-stitch construction, stops tearing or fraying when the material is cut. The material itself is waterproof, but the fabric is a knitted mesh and will not stop water from coming through it when raining. 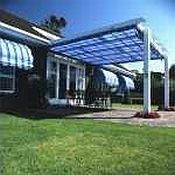 Both fabrics come with a 10 year warranty that protects against UV degradation, rot, mold or mildew.